... sending the Germany-Italian spread wider by 50bps to over 300 bps, the highest in 5 years. 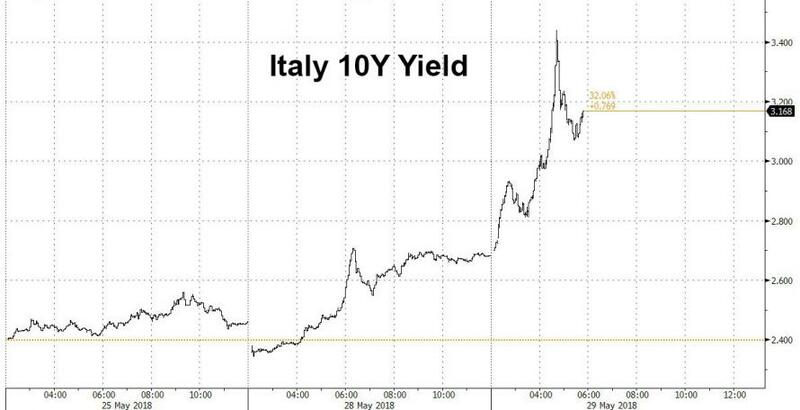 Confirming the market revulsion to anything Italian, today's 6-month bill sale by Rome was met with surprisingly poor demand, covered 1.19 only times, the lowest since April 2010, despite what continues to be an ECB backstop. 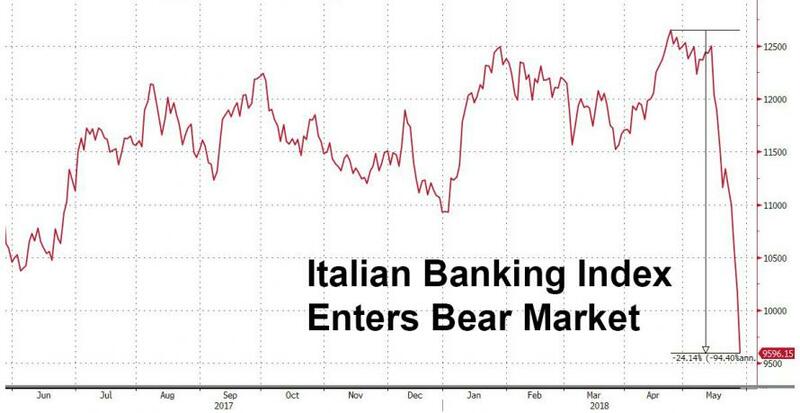 ... while Italian banks are now well inside a bear market, down 24% from their recent April highs. 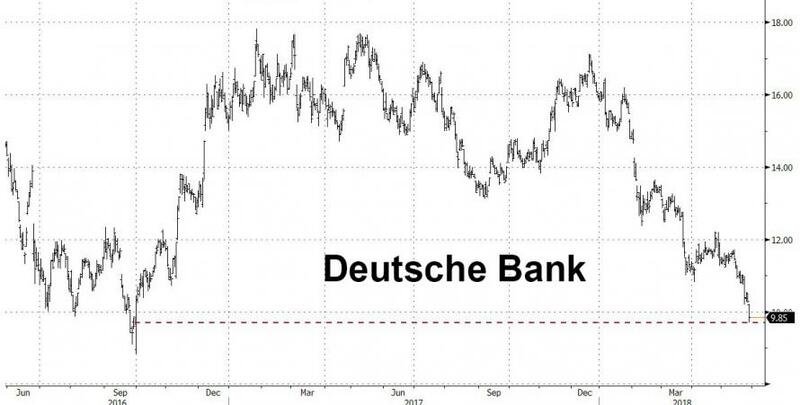 As a result of the panic selling, not seen since the days of the European sovereign debt crisis in 2011/2012, dealers pulled their price indications, which according to Bloomberg signalled dealer unwillingness to trade given the excessive volatility. 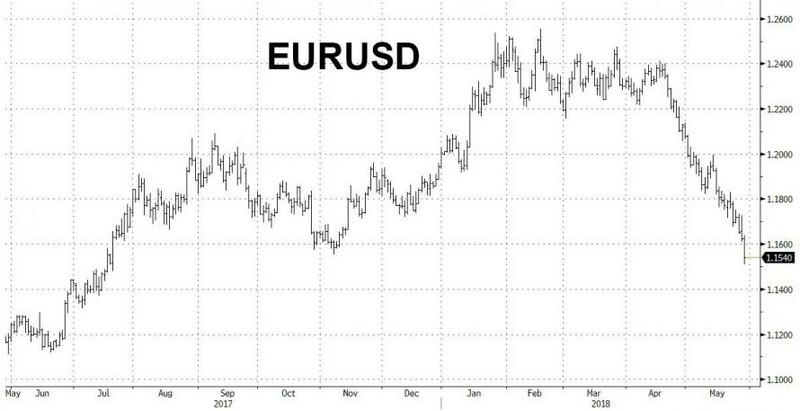 ... while the EURUSD tumbles below 1.16, the lowest since last July as murmurs of "parity" are once again emerging. 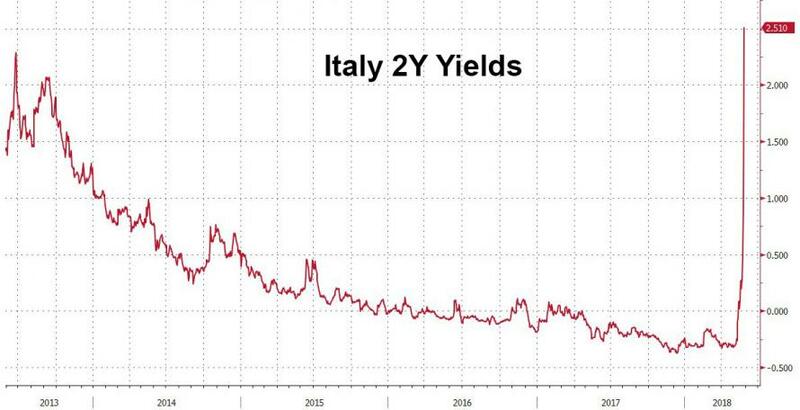 Yesterday we predicted that it is only a matter of time before Europe and the ECB ban shorting of Italian bonds, and we are sticking with it, although at this point - now well past contagion - it is unclear if such a dramatic action will have much of an impact. Meanwhile, all eyes on Draghi to see how the ECB responds now that Europe is once again facing threats to both its currency, as well as its very existence.